Finding the cube root of a number means determining a number that when multiplied by itself three times gives you your original number. For example, the cube root of 8 is 2 since 2 x 2 x 2 = 8. The square root is more common in lower level math like geometry and beginner calculus; the cube root begins appearing in advanced calculus and beyond. Learning how to calculate simple cube roots such as 8 and 27 will pave the way for solving more challenging cube root numbers. With the invention of advanced calculators, math enthusiasts, students and mathematicians can calculate cube roots for any number using the simple push of a button. 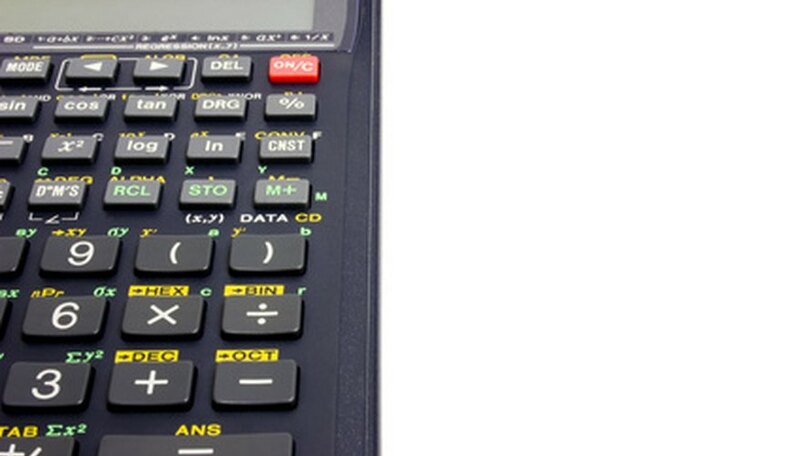 Find the "y [root symbol] x" button on your advanced calculator. This button makes finding the cube root of any number quick and easily. Insert the number 3 to indicate to the calculator you want to take the cube root. (3) (y [root symbol] x) (27) = ? Lin, Paul. "How to Calculate the Cube Root." Sciencing, https://sciencing.com/calculate-cube-root-7803357.html. 24 April 2017.